In March 1989, Prisoners performed the single largest break out in Queensland’s Prison History. Using a departing Laundry truck for gate access, thirty prisoners made a dash for freedom. Eight prisoners, through gun fire from the tower made The Great Escape! 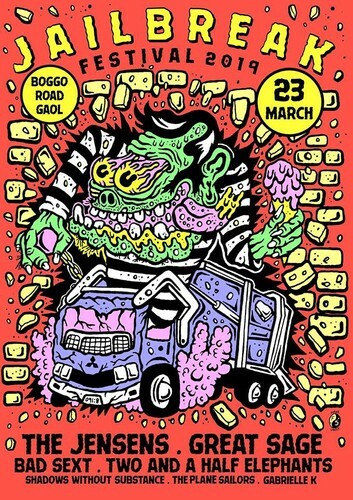 Thirty years later, The Jailbreak Festival is coming to Boggo Road Gaol! With an alt rock line up that celebrates Brisbane’s good, bad and downright ugly, it’s time to throw aside your corporate ties and put on your best boogie boots.